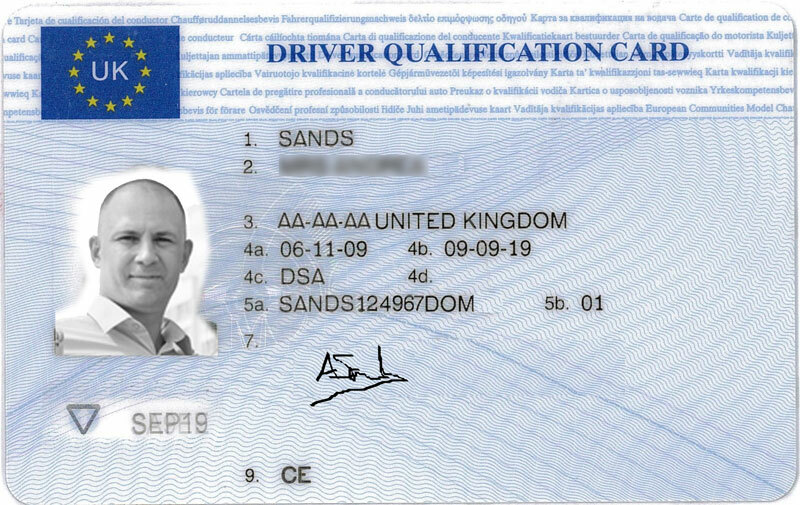 After you have passed all four modules of our Driver Certificate of Professional Competence (Driver CPC) initial qualification, you will be entitled to a Driver Qualification Card (DQC). This proves that you hold Driver CPC, cost of DQC is included in your course with Traindrive. The photograph and signature on your photocard licence will be used on your DQC. Your DQC will be sent to the address on your driving licence. You must carry your DQC while driving a large goods vehicle or passenger-carrying vehicle professionally. You will face a fine if you are found to be driving professionally without a card when you should have one. You can still drive professionally if you’ve completed or on your periodic training and you’re waiting for your DQC to arrive. Traindrive will supply you an attendance certificate for each 7 hour session you attend you should keep this with you. You should get your DQC within 20 days after completing either your initial qualification or your periodic training. If you don’t receive it, contact DVSA. A Driver CPC is valid for five years. To keep your Driver CPC after that, you will need to complete 35 hours of training by the end of each five-year period. If you don’t do this, your Driver CPC will no longer be valid and you will not be able to continue to drive professionally after the five years is up. Please use the booking form to check availability or request a CPC date. Please use the Booking Form or email us at traindrivelgv@hotmail.com or call us for course dates and availability. We are also able to accommodate CPC training in other areas.